vegetable chop recipe | veg chop recipe | bengali veg cutlet recipe with detailed photo and video recipe. 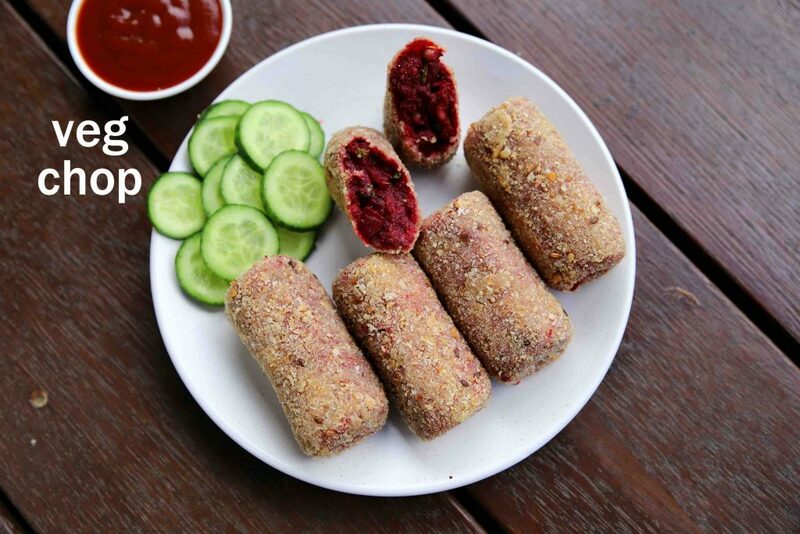 a traditional and a unique kolkatta snack recipe made with mix vegetables with beetroot particularly. 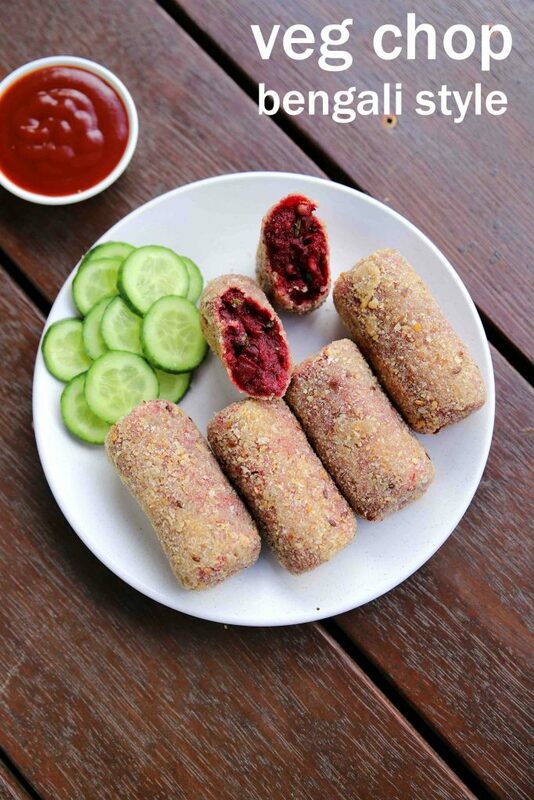 it has a strong resemblance to the vegetable cutlet recipe but is unique with its set of the ingredients list. it is an ideal evening snack which can also be extended as a party starter or appetizer. vegetable chop recipe | veg chop recipe | bengali veg cutlet recipe with step by step photo and video recipe. cutlet recipes are very common across india and are generally prepared with either combination of veggies or meat. the bengali cuisine has its own variation and it is referred as vegetable chop recipe. 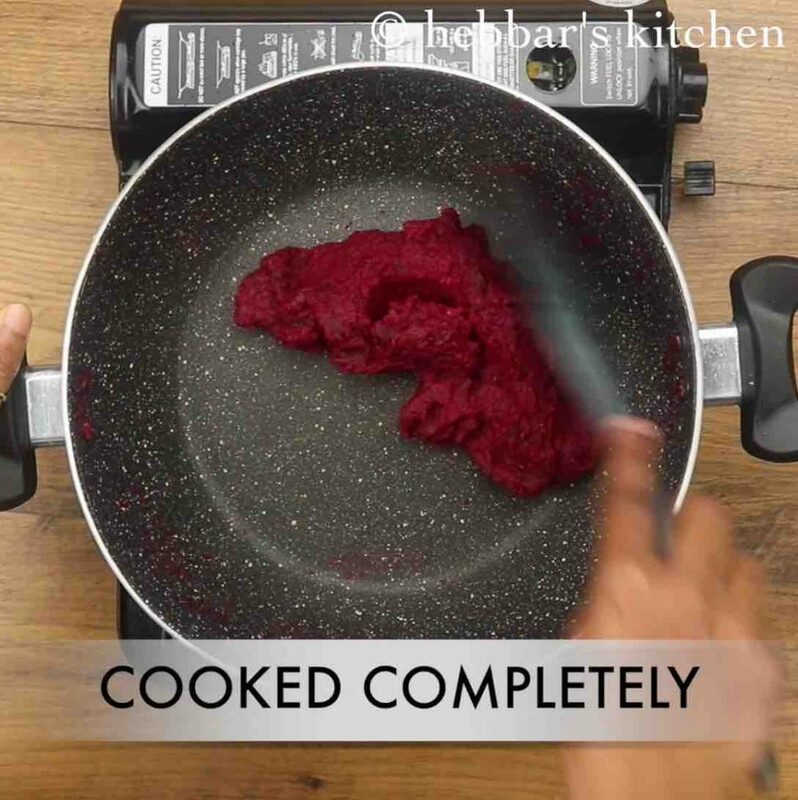 it is prepared with a combination of veggies, but beetroot has significant importance. 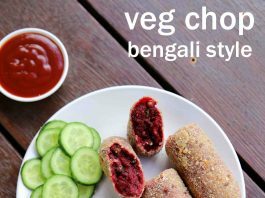 as i mentioned earlier, it has striking similarities with the indian veg cutlet recipe. but vegetable chop recipe has a lot of difference with the ingredients list and the way the cutlet is prepared and shaped. 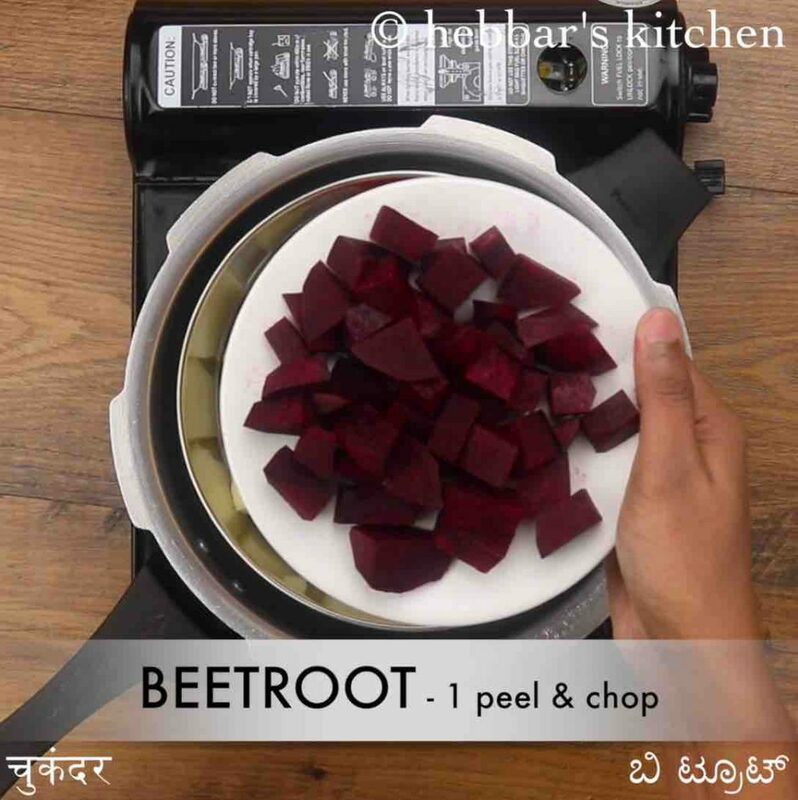 the first and visible difference is the usage of boiled beetroot, which not only gives a dark red colour but also flavour and sweetness to this snack. 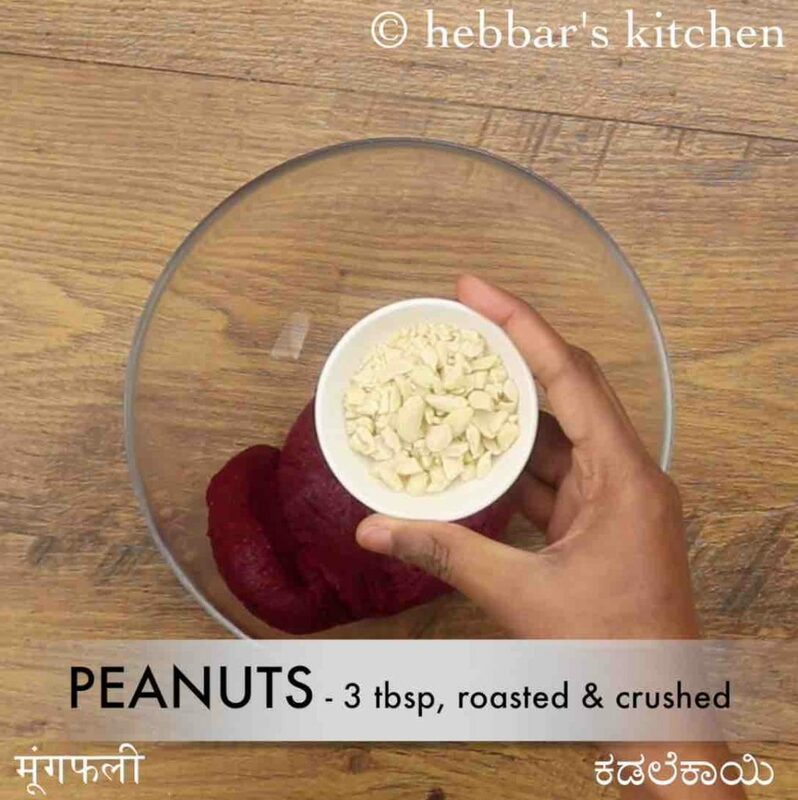 in addition, the crushed peanuts or ground nuts are mixed with the vegetable mixture before shaping and deep frying. adding peanuts gives it a crunchy texture and taste to it, and eventually improving the eating experience. 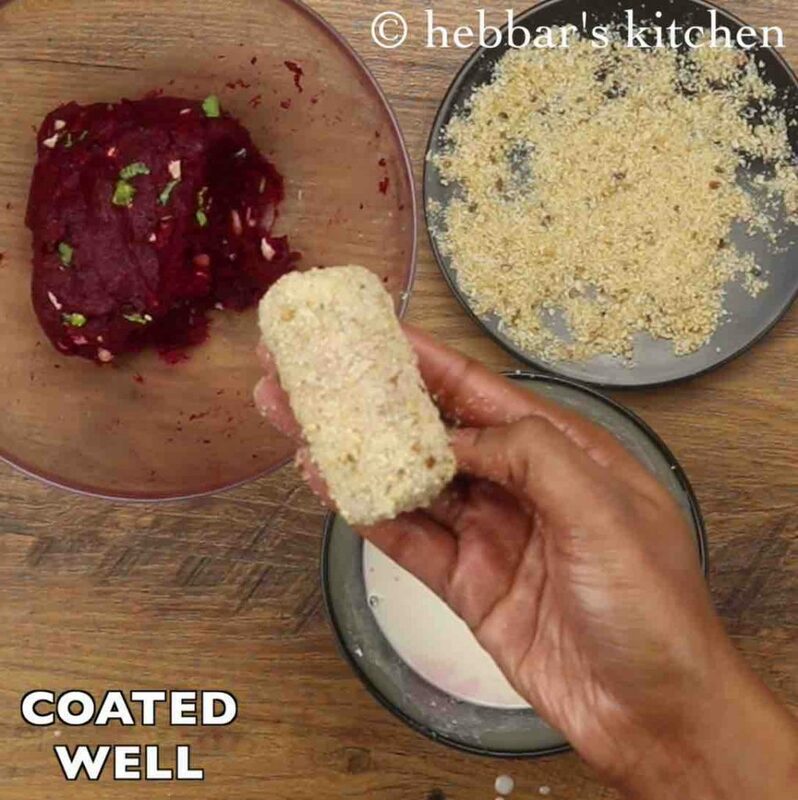 further, the coating is always done with bread crumbs as compared to cutlet recipe which can also be done via crushed corn flakes or even semolina. furthermore, some easy and important tips and suggestions for a perfect vegetable chop recipe. 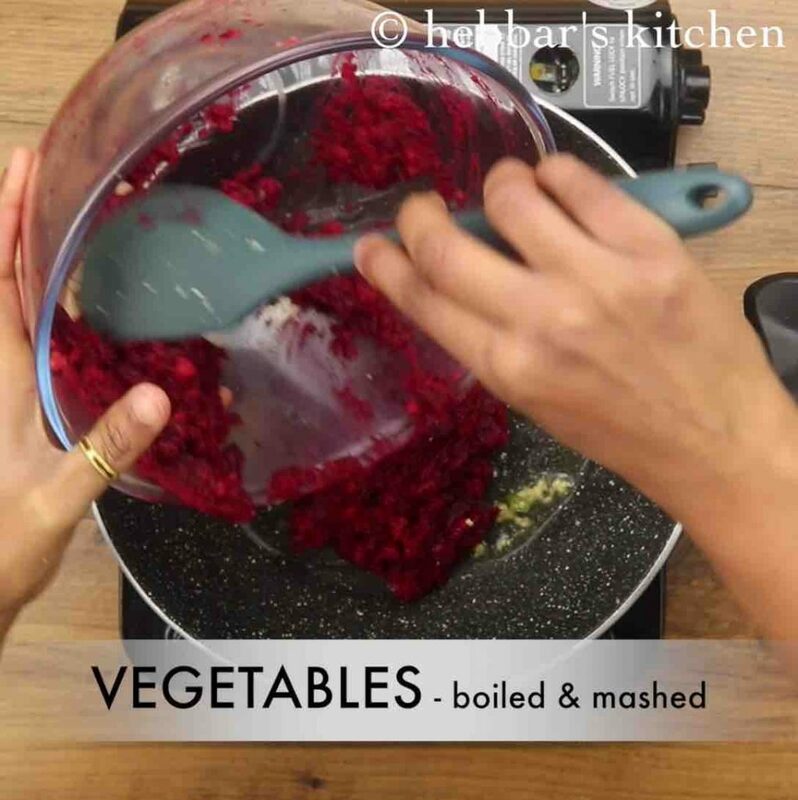 firstly, and i strongly recommend to mash the veggies like beetroot, carrot and potatoes once they are boiled completely. do not add any water to veggies while pressure cooking/steaming, else they tend to absorb water and turn vegetable mix mushy. 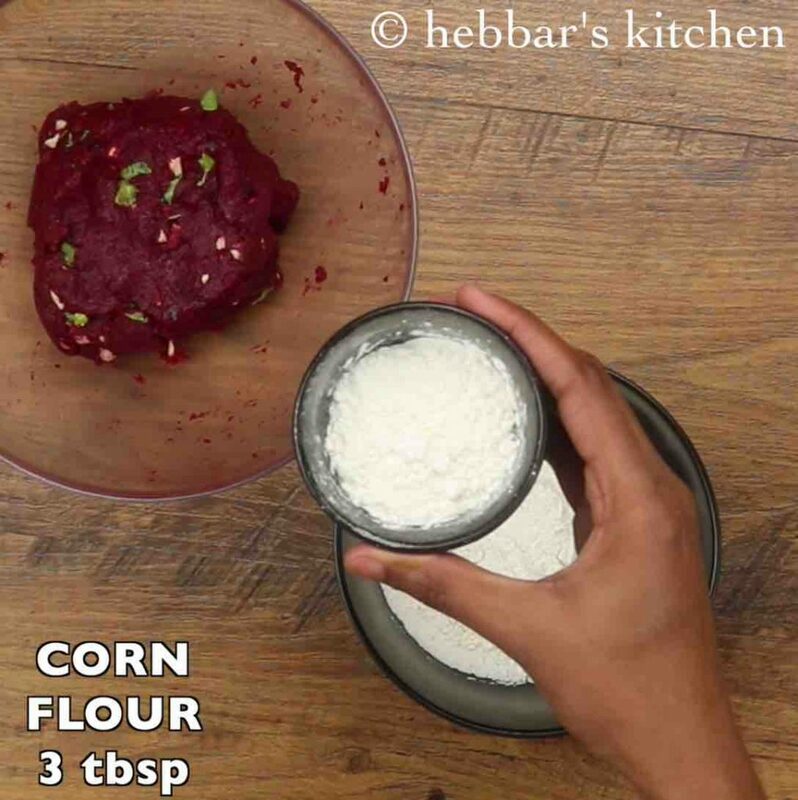 secondly, once the vegetable mixture is shaped, it is generally washed with cornflour + plain flour coating with an egg wash. as i do not have egg in my recipes, and hence i have not used in this recipe. but if you are ok with egg wash, then please go ahead with it. lastly, the cutlet can also be shallow fried and pan fried as an alternative to deep frying. in addition, it can also be baked at 180 degree celcius for 15 minutes or until it turns crisp. 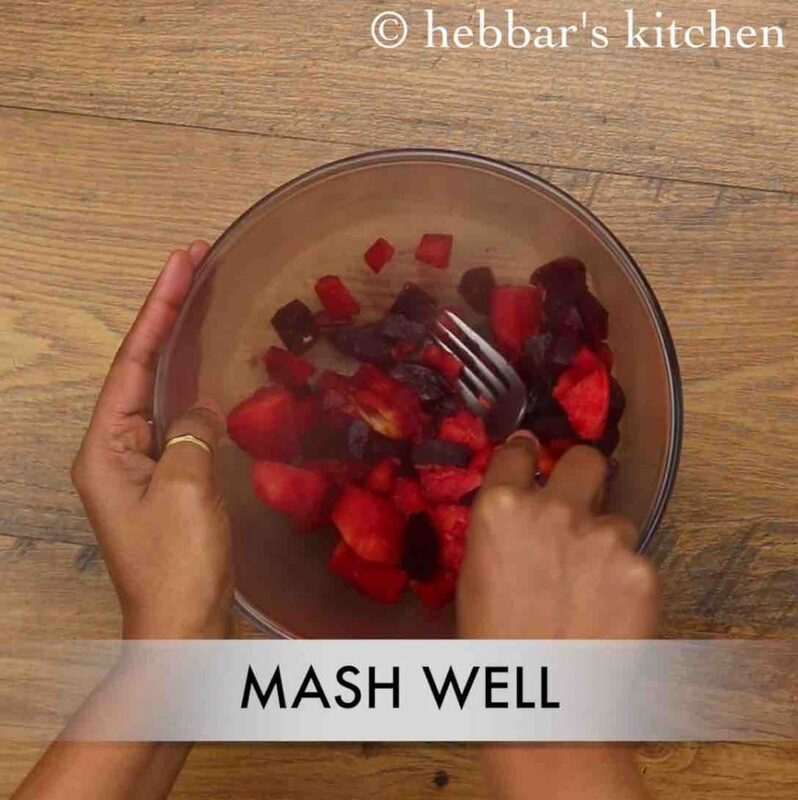 firstly steam the vegetables and mash smooth. now in a large kadai heat 2 tsp oil and saute ½ tsp ginger paste and 1 chilli. further, add mashed vegetables and saute for 5 minutes. 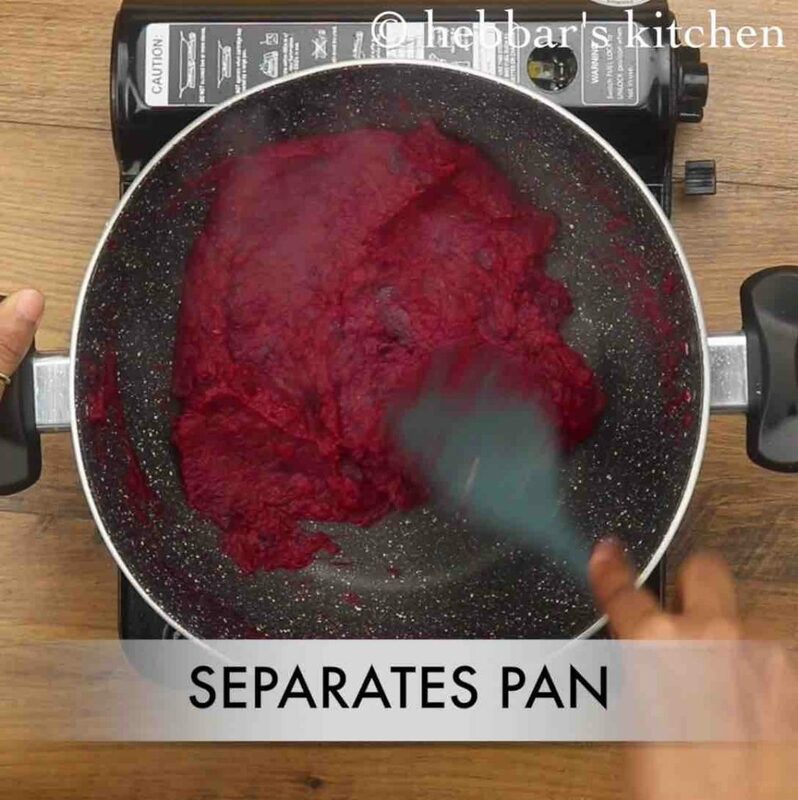 cook until the mixture loses its moisture and separates pan. 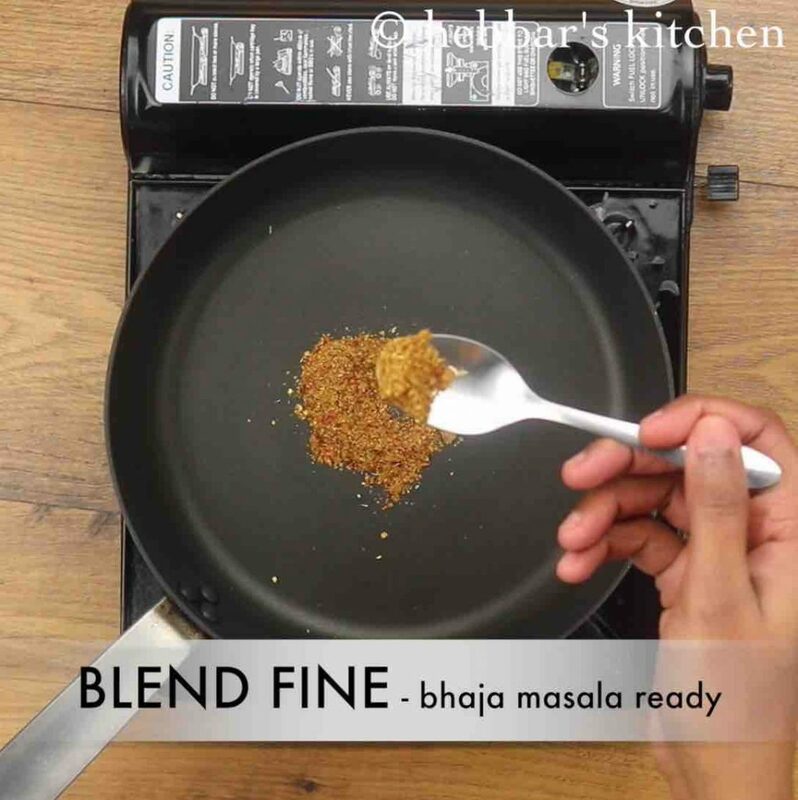 now add bhaja masala,½ tsp sugar and ¼ tsp salt. mix well until spices are cooked well. furthermore add 3 tbsp roasted & crushed peanuts, 2 tbsp coriander. mix well, prepare cylindrical shape vegetable mixture. dip in maida paste coating all over, then roll in breadcrumbs. 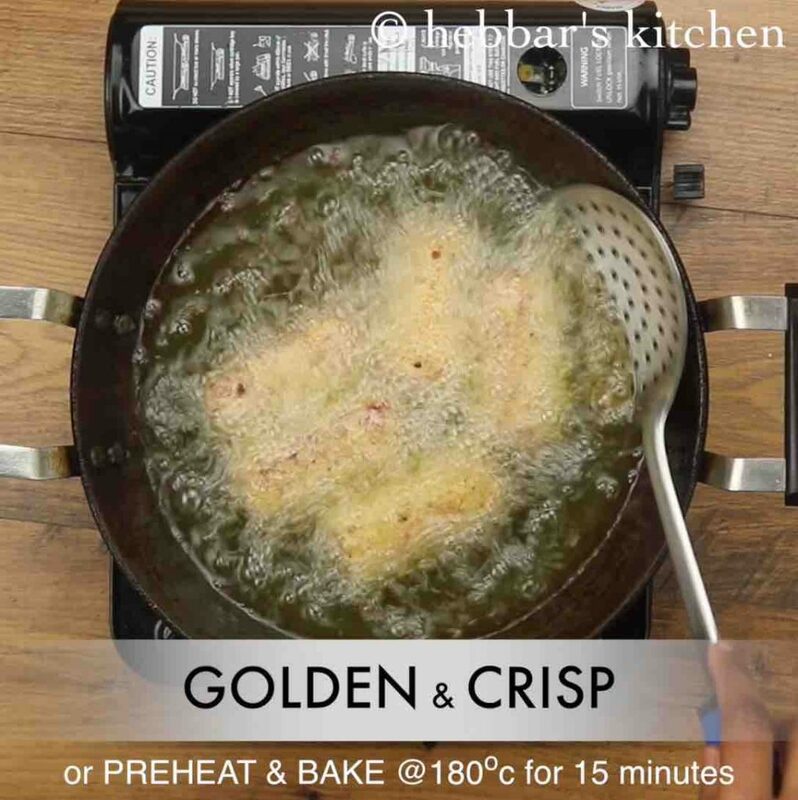 now deep fry in hot oil or bake in preheated oven at 180 degree celcius for 15 minutes. finally, enjoy veg chop with tomato sauce. 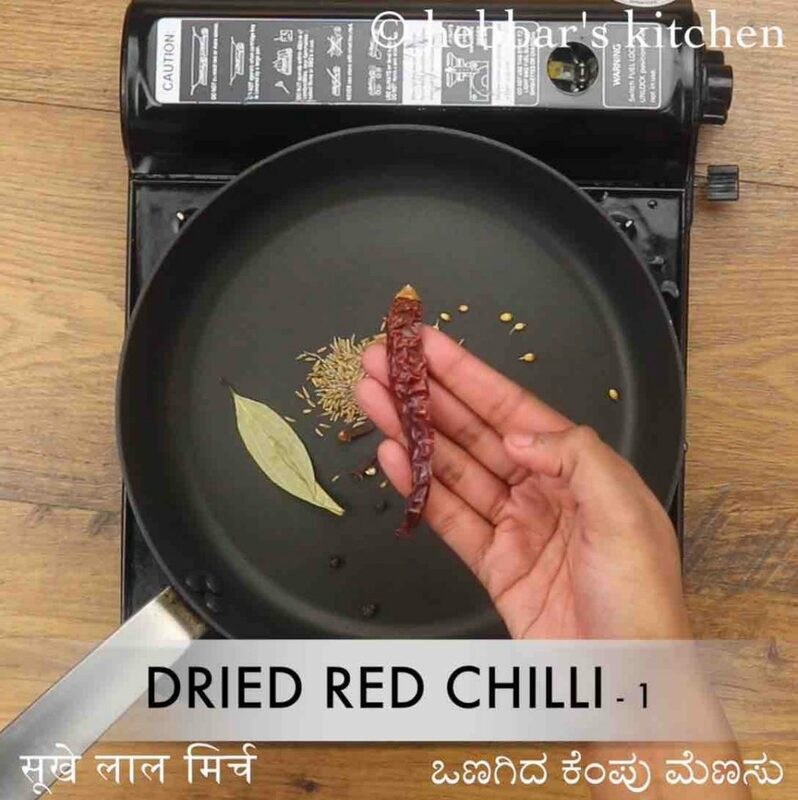 firstly, in a tawa dry roast ½ tsp cumin, ½ tsp coriander seeds, ½ tsp fennel, 10 pepper, 1 bay leaf, 2 cloves, 1 cardamom, ½ inch cinnamon and 1 dried red chilli. blend to a fine powder without adding water. 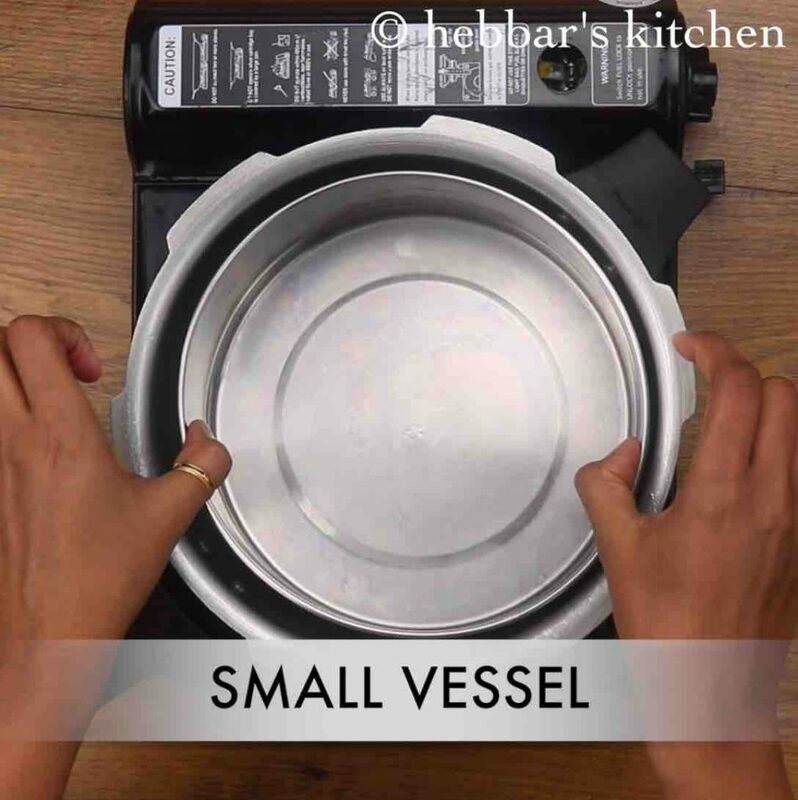 firstly in a pressure cook take 2 cup water and place a vessel. 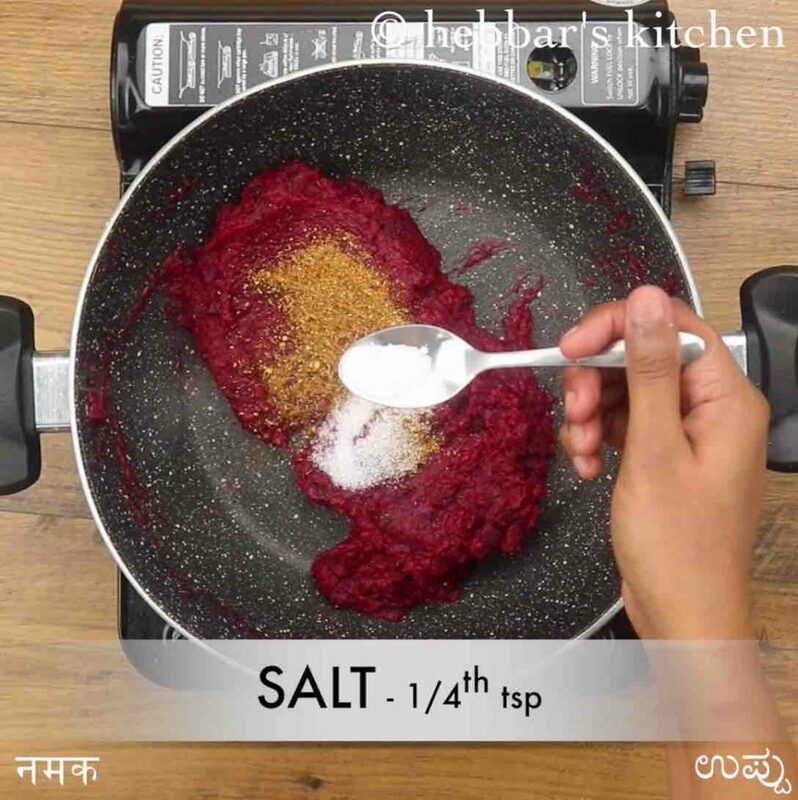 add 1 potato, 1 carrot, 1 beetroot and ¼ tsp salt. 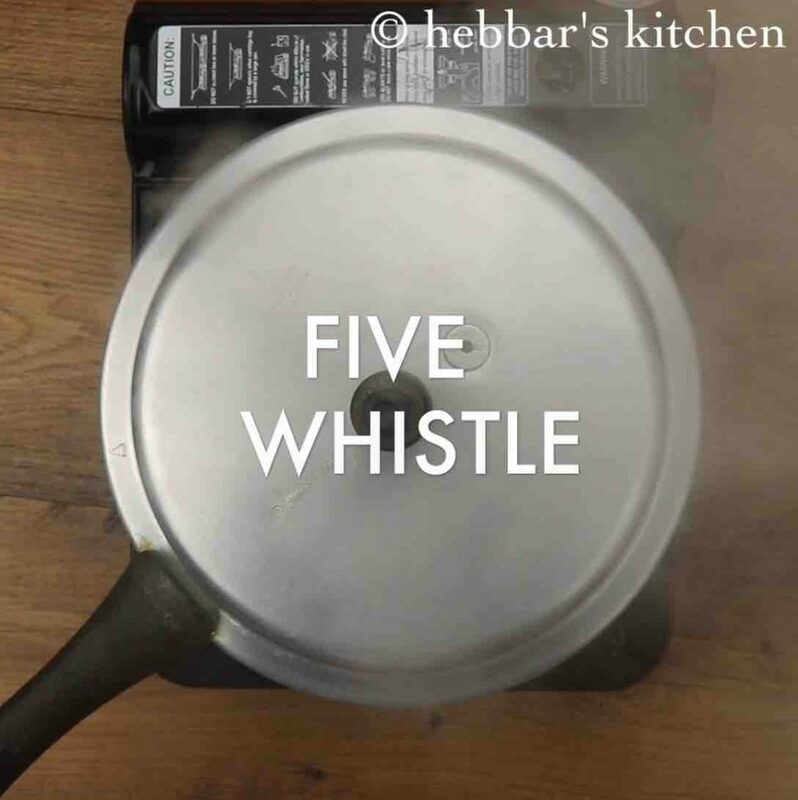 cover and pressure cook for 5 whistles without adding any water to the vessel. 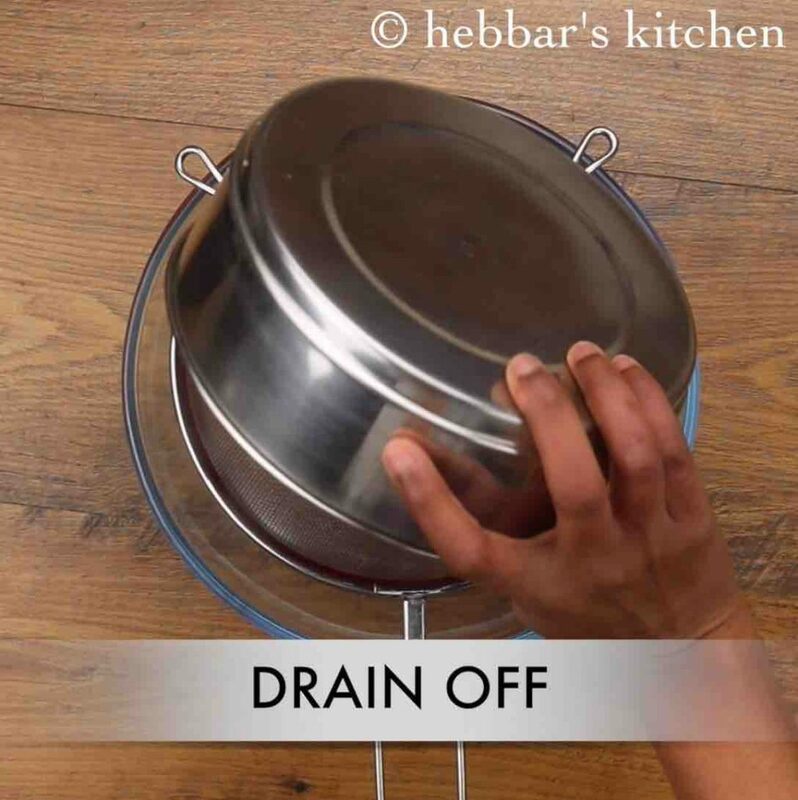 drain off the vegetables to remove any water if present. now mash the vegetables with the help of a fork. 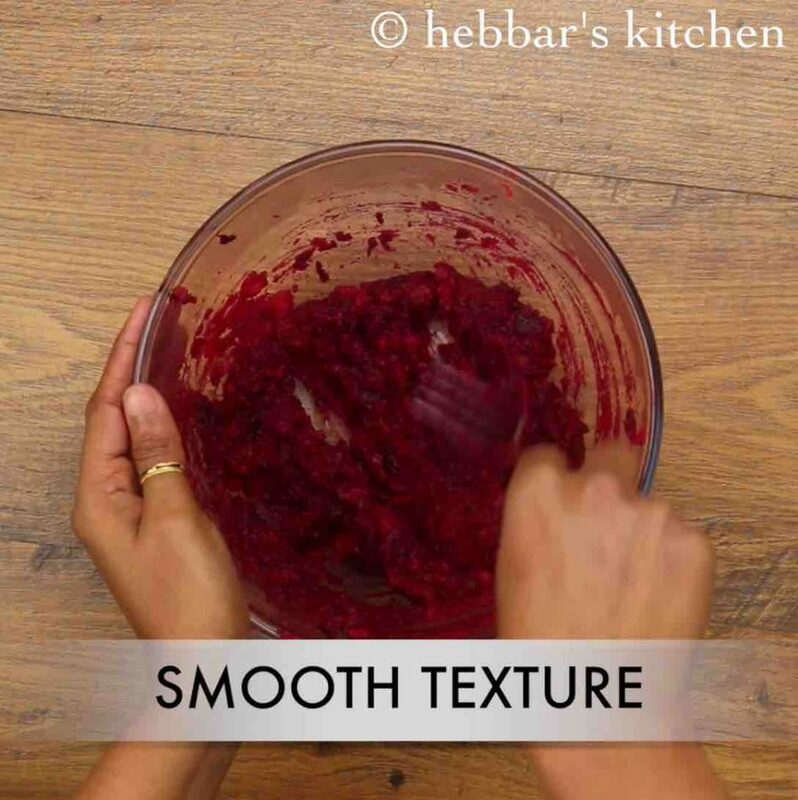 make a smooth vegetable mix. keep aside. 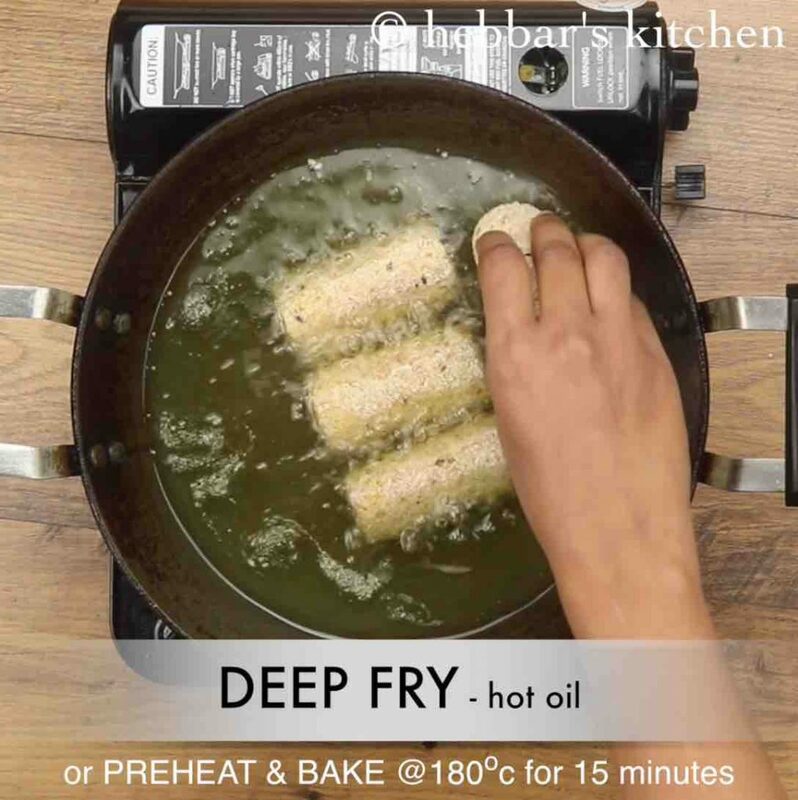 now add prepared bhaja masala. 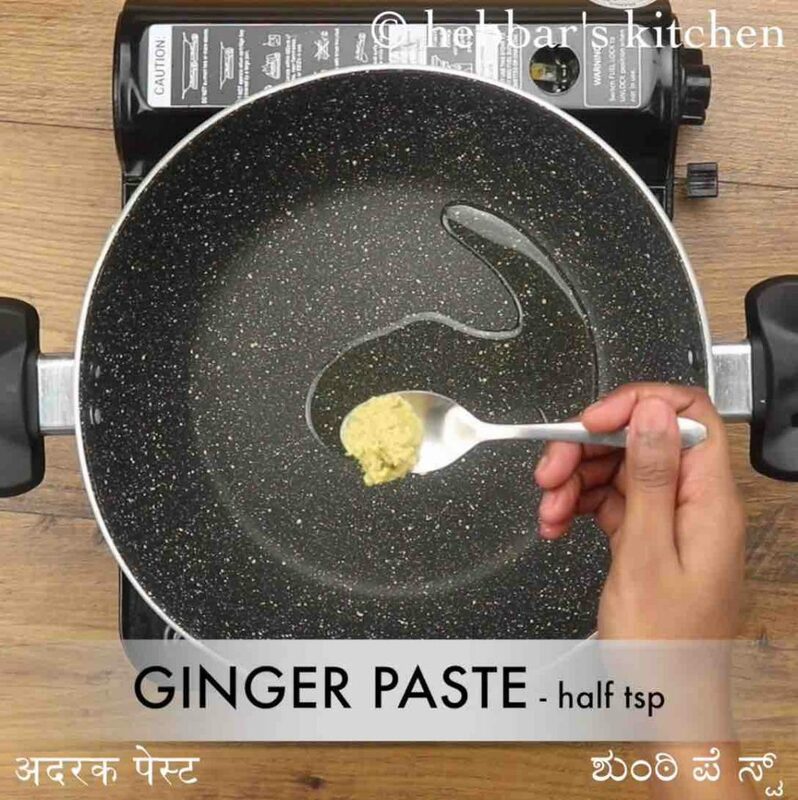 alternatively, use garam masala. also, add ½ tsp sugar and ¼ tsp salt. 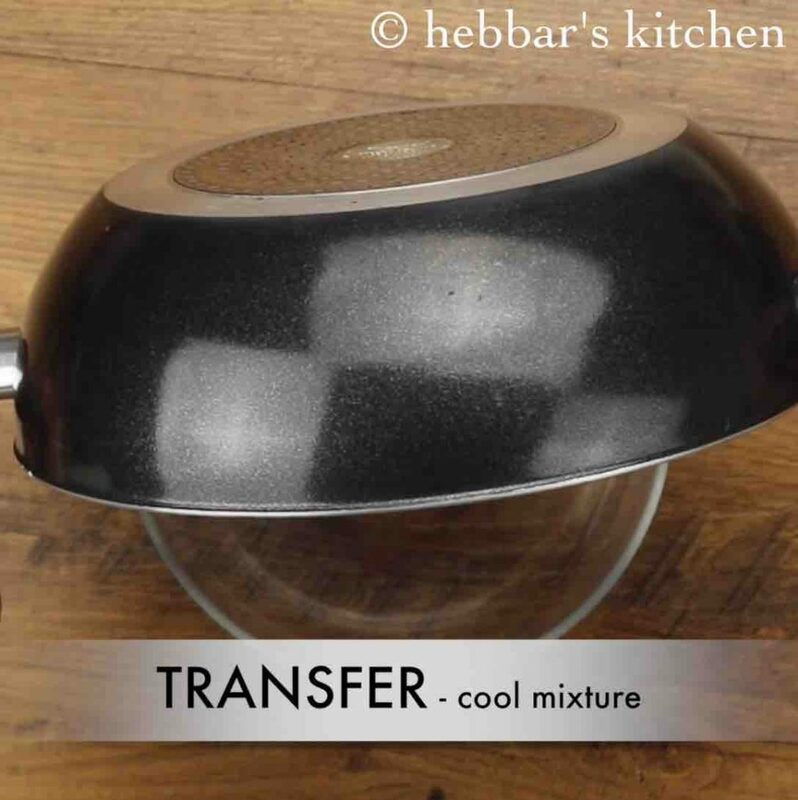 transfer the vegetable mixture to a bowl and cool slightly. mix well making a non-sticky dough. if the dough is still sticky, add 1 tbsp breadcrumbs and mix well. this helps to absorb moisture. 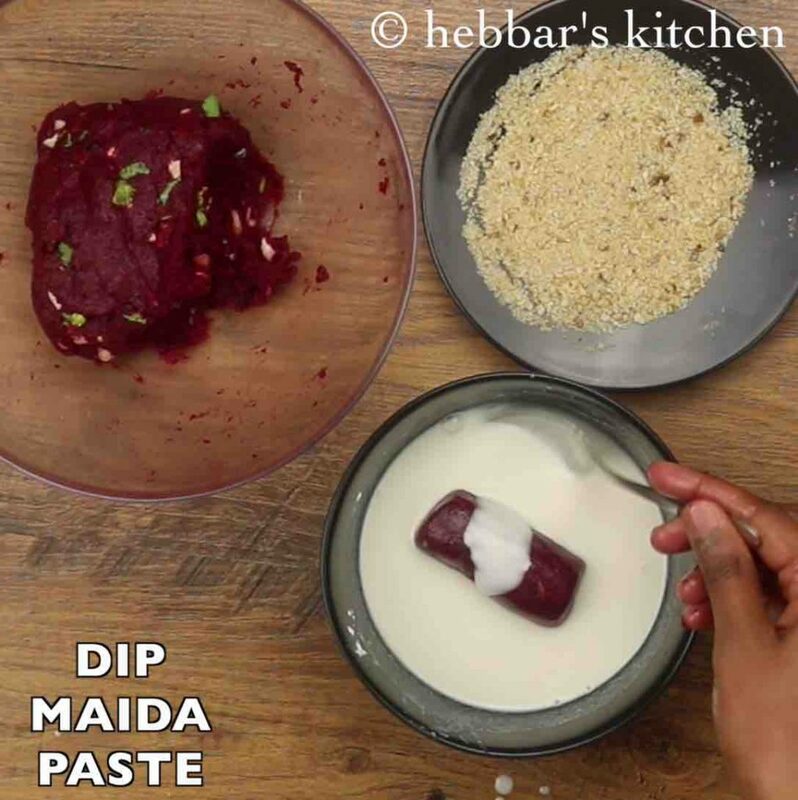 now prepare maida paste by mixing, 3 tbsp maida, 3 tbsp corn flour and ¼ tsp salt. 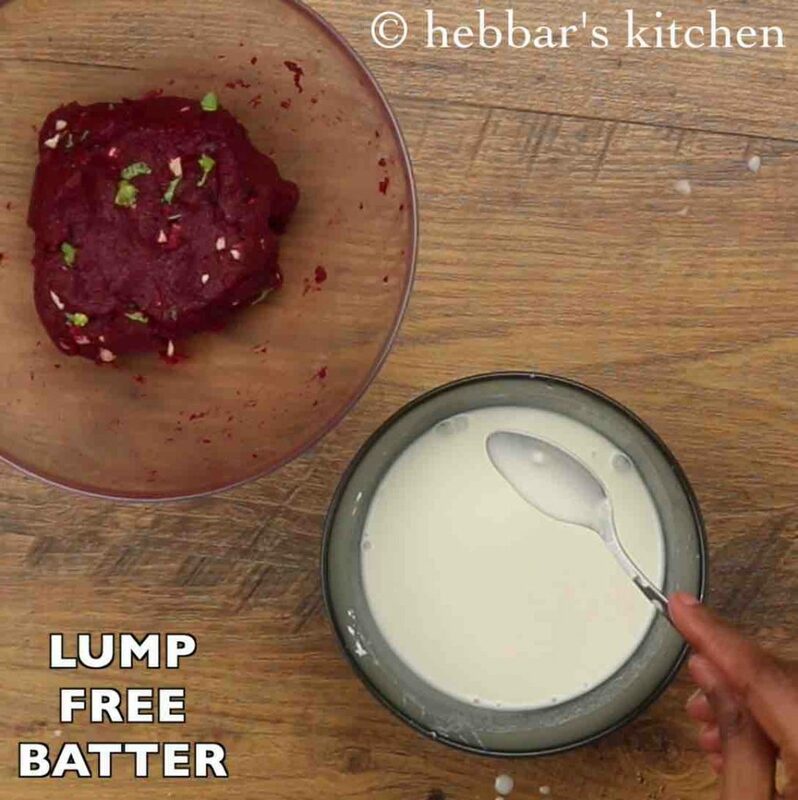 make a smooth lump free batter by adding ½ cup water. 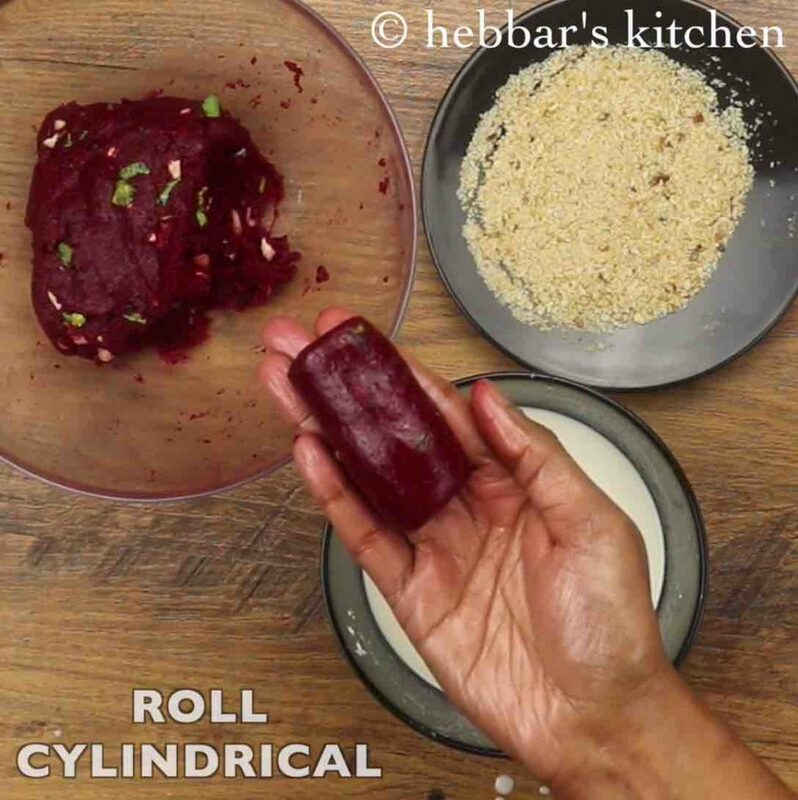 further, take a ball sized vegetable mixture, and roll cylindrical shape. dip in maida paste coating all over. 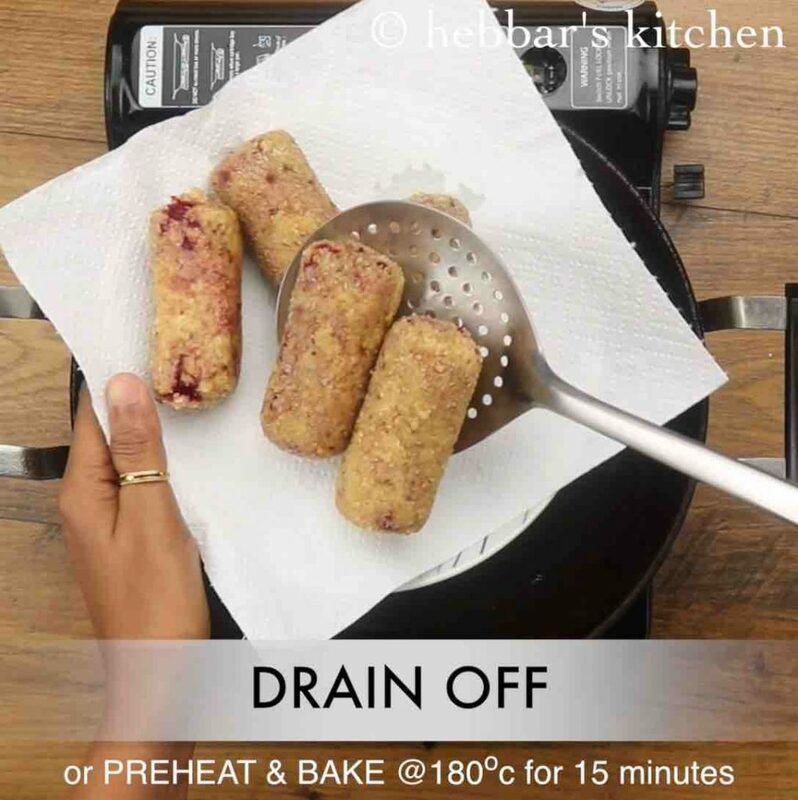 then roll in breadcrumbs. make double coating to get a crispy outer layer. stir occasionally, until it turns golden brown and crisp. drain over kitchen paper to remove excess oil. 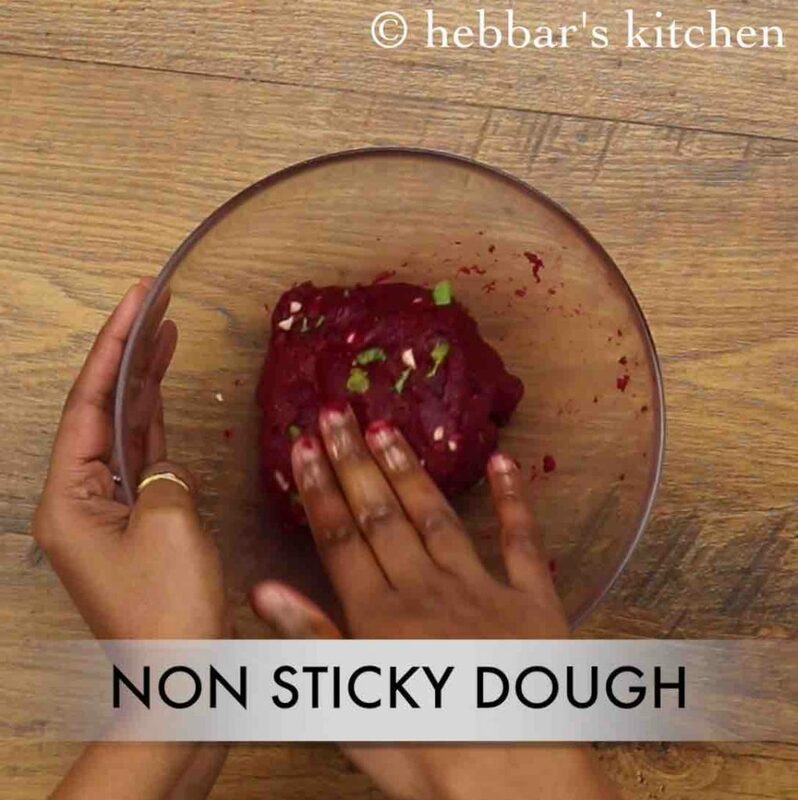 firstly, if the vegetable mixture breaks in oil, it means there is too much moisture in the mixture. add breadcrumbs to the mixture to absorb moisture. also, add vegetables of your choice to make it more nutritious. 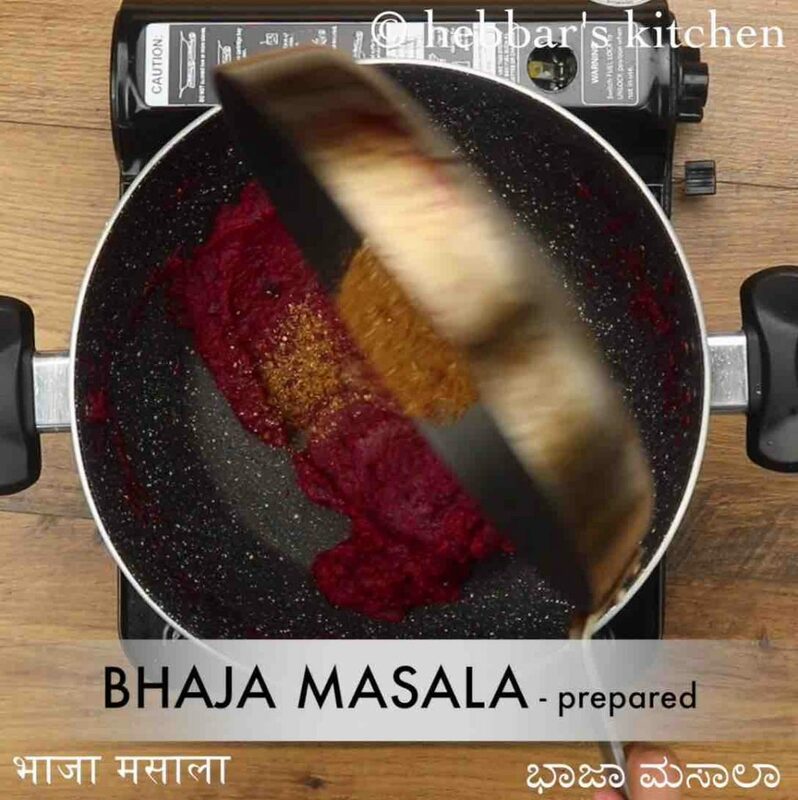 additionally, if you do not have want to prepare bhaja masala use garam masala as a substitute. finally, veg chop recipe is a mixed combination of sweet and spice.